Elglaze offers a range of secure, robust and high-quality composite doors which complement our entrance door and window systems. With a great range of styles and sizes to suit every property, we provide reliability and long lasting performance. 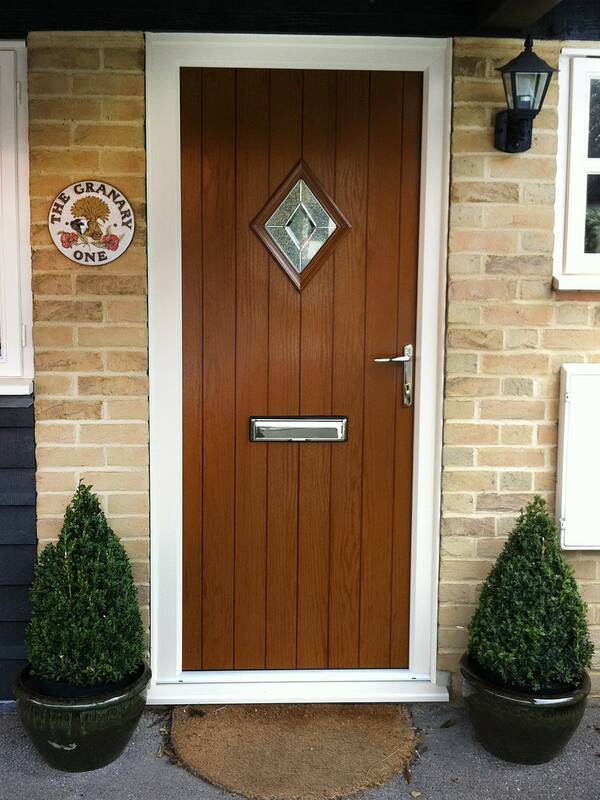 Composite doors are available in both single and double sizes all with smooth, effortless opening and closing. Thanks to quality manufacturing techniques, we are able to achieve deep, crisp detailing in your door panel, giving the appearance of a handcrafted finish. A choice of ten different styles enables you to design a door that is personal to your home. From classic to contemporary, a wide range of options means you have the freedom to choose a style that is right for you. Designed as a complete solution that includes the door frame and where applicable the sidelight, you can be confident of inherent quality throughout. A dedicated transom bar means the door frame can be made in one piece, making your door strong and secure with impeccable looks. The intelligent design of our composite doors with their flush fitting frame feature a high tech triple weather seal keeping the elements safely outside and keeping you free from draughts. The Sovereign range of doors provides you with a comprehensive choice of 15 styles, in various glass and colour choices. Cumbria is a contemporary design which fills your room with light. Derbyshire has a twisted contemporary design, which is available with a range of clear and patterned glass styles that also allow light in with an element of privacy. Fresh, clean and contemporary, the Dorset expands our European theme. With two offset glazed panels, Dorset illuminates the interior, while affording a degree of privacy. Obscure, leaded, bevelled or Fusion designs all enhance this beautiful door. This elegant modern door with its clean and uncluttered appearance appeals to all types of properties. A single glazed panel accepts a wide range of modern glass styles and can be positioned left, right or centre. Add stainless steel hardware for a smart 21st century look. Suitable for both traditional and modern tastes, Essex is our top selling design. With its twin glazed panels, it fits a variety of personalised glass options. This versatile door style echoes Georgian and Edwardian architectural styles, making it the ideal choice for older properties. Clean and sharp styling makes this door the ideal choice for modern homes. With its three distinctive diamond-shaped glazing panels, the Glamorgan is stunning. It offers an extra element of privacy, while still letting in light. ‘Stripes’ and ‘Fusion’ glazing designs really set this door off. This traditional ‘cottage-style’ door is a favourite with homeowners, and is suitable for either front or back doors. The Gloucestershire’s vertical ‘boarded’ appearance replicates the rustic ‘tongue and groove’ timber construction, which makes them perfect for restoration or replacement projects. If you crave additional light, then square or diamond-shaped glazed panels, with Fusion or bevelled glass options, can be added. European flair combined with British solidarity in the Hampshire range. Four offset glazed panels accept leaded, bevel or ‘funky’ fusion designs for an overall creative effect. It’s a modern look for a 21st century composite door. The perfect door for that Docklands apartment or new townhouse. Our Stable Door offers you the best of both worlds – a window and door in one. Opening the top door only keeps children and pets safe and secure, while allowing fresh air into your home. High-security locks and an effective weather-seal ensure it performs just as well as a standard single door. The lower half also enables the option for cat and dog flaps. Fresh and contemporary styling is what makes this versatile new door the ideal choice to enhance the exterior of any home. Offering three positions for the glass – on the hinge side, middle or on the lock side – the Stirling can be customised to your preferences. It balances privacy, while letting in plenty of light. The Suffolk has a single large glass panel which allows maximum light into your home. Ideal for darker hallways, it also looks great as a back door. This builds on the popular Essex range with subtle arched tops to the twin glass panels. Square or arched slim vertical panels; the choice is yours.